Established in the year 1983. ICM conducts PG Diploma and Management Development Programmes (MDPS) regularly for the personnel working in cooperative department and Institutions. It takes-up research and consultancy work in the areas of cooperation and rural development. All along it caters to the training needs of the Cooperative and Allied sectors. ICM is one of the 19 Institutes of Coopeartive Management, under the aegis of the National Council for Council for Cooperative Training (NCCT), New Delhi, Funded by the Ministry of Agriculture, Department of Agriculture & Cooperative, Government of India. This institute gets 50% of the budget from Tamil Nadu Cooperative Union, Chennai. All India Network; Qualified, competent and experience Faculty; Computerized Modern Librry-Cybrary; State-of-art Hi-fi Air-conditioned Lecture Halls; Computer Centre with latest Pentium D systems; Broadband Net browsing; Placement Cell; Separate Hostel Facilities for gents and ladies; Excellent mess facilities with A/C dinning hall; Massage and Gym Centres; Medical facilities; Reverse osmosis plant for purified Drinking Water; Round the clock cooperative stores; Calm and quite, non-polluted atmosphere; lush green and well maintained gardens. Case based teaching methodology, Prominence to industry – interface, Leadership oriented, Continuous performance evaluation system. Based on the TANCET score. As prescribed by the Government of Tamilnadu. 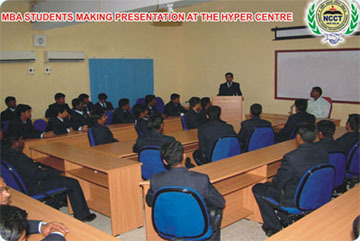 The Institute has an All India network and planned in an integrated manner with National Level Institutions. For details contact Thiru.V.Jayamohan, Faculty Member.